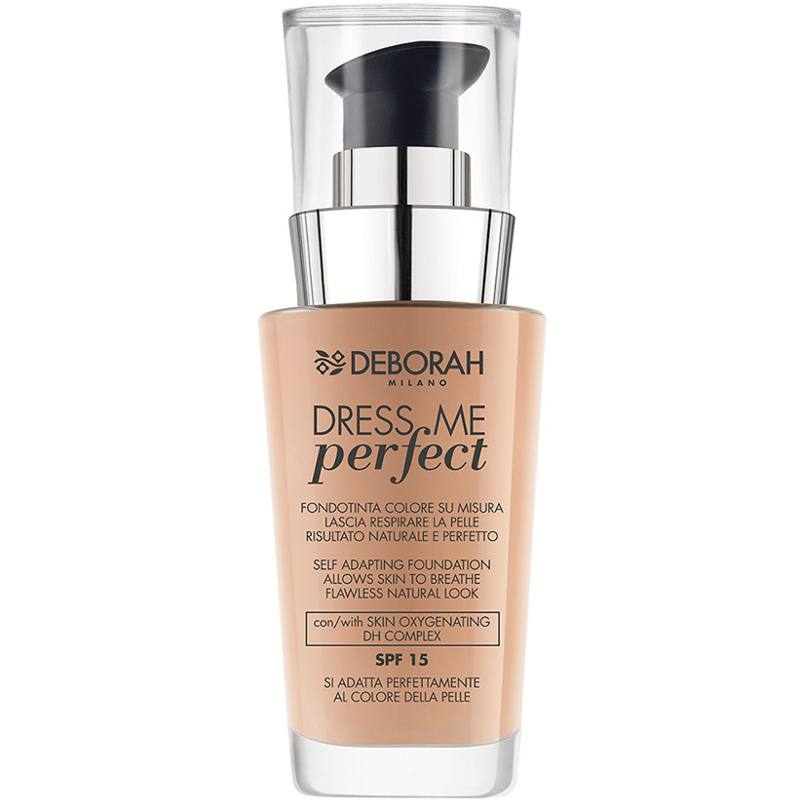 Dress Me Perfect dresses the skin like a custom-made dress, creating a perfect match with the complexion. 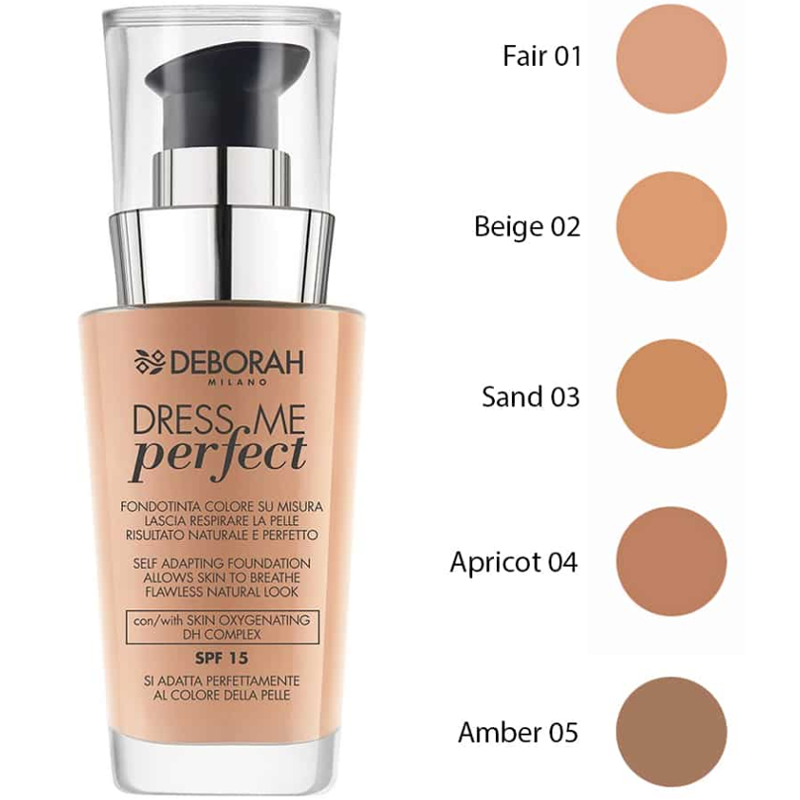 Its super light, long-lasting fluid texture blends in contact with the skin, making the color uniform and minimizing imperfections for a natural and smooth effect; extremely smooth in application thanks to the presence of microspheres with a soft focus effect, it has an opaque effect without a mask effect. 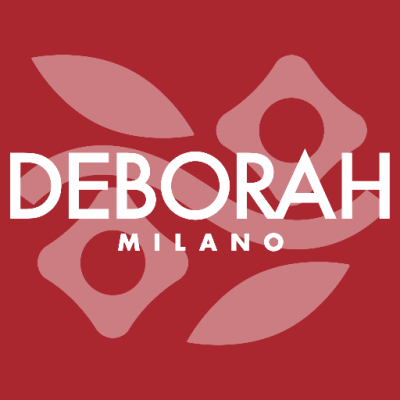 But its uniqueness lies in the Skin Oxygenating DH Complex contained in a formula that promotes the oxygenation of the skin, letting it breathe and providing a flawless, natural finish. • Available in 5 shades: 01 Fair, 02 Beige, 03 Sand, 04 Apricot, 05 Amber. IL050216 INGREDIENTS: AQUA, CYCLOPENTASILOXANE, ISODODECANE, DIMETHICONE, ETHYLHEXYL METHOXYCINNAMATE, PROPANEDIOL, NEOPENTYL GLYCOL DIHEPTANOATE, BUTYLENE GLYCOL, PEG-10 DIMETHICONE, POLYPROPYLENE, PEG/PPG-18/18 DIMETHICONE, POLYSILICONE-11, DISTEARDIMONIUM HECTORITE, SILICA, SODIUM CHLORIDE, TROPAEOLUM MAJUS FLOWER/LEAF/STEM EXTRACT, ACRYLATES/DIMETHICONE COPOLYMER, TRIETHOXYCAPRYLYLSILANE, CAPRYLYL GLYCOL, ETHYLHEXYLGLYCERIN, LAURETH-12, SODIUM DEHYDROACETATE, ALUMINUM HYDROXIDE, PROPYLENE CARBONATE, TITANIUM DIOXIDE (NANO), DISODIUM EDTA, PARFUM, STEARIC ACID, PHENOXYETHANOL +/- CI 77891, CI 77491, CI 77492, CI 77499. 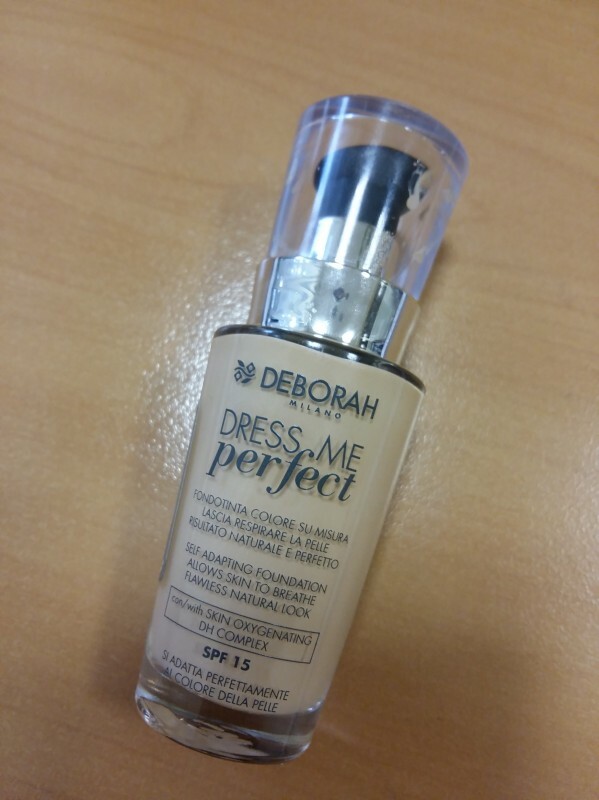 Deborah Milano Dress Me Perfect Foundation is one of the un-oiliest foundations I have ever tried. I would even say that it is not runny and upon contact with the skin dries quickly. It has a convenient dispenser (however, quite soon the underside of the transparent cap will look unappealing being smudged all over with the foundation) that delivers the right amount for appropriate use, and the packaging itself is not heavy. The foundation provides a matte coverage that lasts for a long time. I used 02 Beige shade - it is a good one for a fair skin, not with a pinkish or yellowish tint. The foundation does not 'melt' during the day (at least in cold season, I have yet to trial it in the hot one). It also does not clog pores and is not comedogenic as far as I can tell with my normal prone to dryness skin. 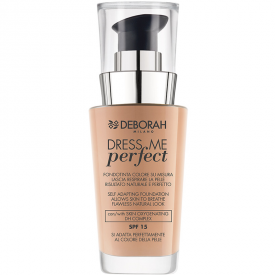 I can recommend this one even for a daily use, especially due to its light texture and moderate SPF protection.